The Custom Facebook Feed allows you to display a completely customizable, responsive, and search engine crawlable version of your Facebook page or group feed on your own website. No more ugly iframes! Super simple to set up and tons of customization options to seamlessly match the look and feel of your site. Increase engagement between you and your users, customers, fans or group members. 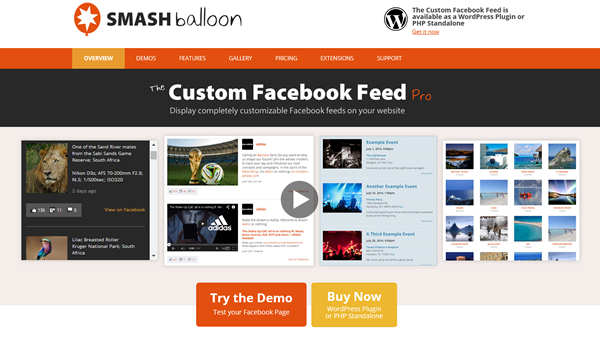 Get more likes by displaying your Facebook content and comments directly on your site. Don’t have time to blog? 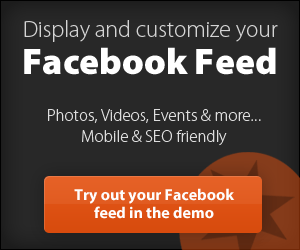 Save time by using the Custom Facebook Feed plugin instead to generate dynamic content for your website. our customers and strive to provide the best support experience in the business. If you need support then just let us know and we’ll get back to you right away. Display multiple feeds from different Facebook pages on the same page or throughout your site – display feeds from different Facebook pages, define different post types, layouts and styling for each. Want to show only photos from one Facebook page and events from another? No problem.